Longtime followers of our blog and new visitors alike will probably be surprised to learn that I am not, in fact, a garage door technician! I am a member of the A Plus Garage Doors office team, so I work closely with the technicians on everything that I write and share – you don’t need to doubt its accuracy! But in my day-to-day job with the company, I only rarely visit job sites in-progress. But here at A Plus, we believe in going above and beyond the call of what is required. That’s what led us to have 40+ 5-star reviews on Google, and a reputation for reliable, timely service in Charlotte. We’re family owned and family operated, and Jimmy Perneszi – the owner – has been working on garage doors for over thirty years. Suffice to say, we only do quality work, and we bring our “A-Plus game” to every job. 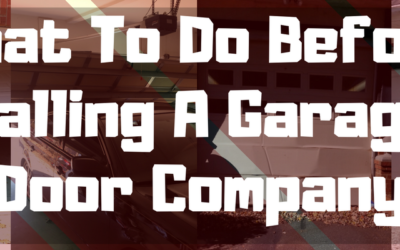 If your garage door needs some TLC, an expert garage door repair and installation company can come to your home and get everything working like new. But what can you do before calling a professional, to make our job easier and potentially save yourself the trouble and cost of calling an expert at all? There’s an old adage – anything that separates you from the ground is worth spending money on. It goes for good quality shoes, it goes for good quality mattresses, and – on a related note – it goes for a comfortable pillow! Everyone knows the hotel room struggle of trying different pillows and combinations of pillows, trying to find the one with the perfect mixture of firmness and softness, but for most people this hunt isn’t inspiring. For a certain kind of entrepreneurial spirit, however, any hardship is inspiring. Mike Lindell has just that spirit. Lindell tried everything to create the life he wanted for his family through an increasingly bizarre list of business ventures. In 2004, he finally found the million-dollar-idea – or to be more accurate, the multi-million-dollar-idea! MyPillow, a company that he begun in his residential home’s garage, has now sold over 30 MILLION pillows! 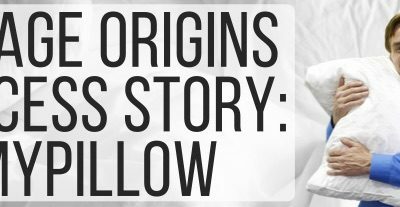 Before he was the king of pillows, however, Lindell’s life followed a rocky path through business failures and drug addiction. In spite of this adversity, his drive never faltered, and Lindell has made a successful company out of humble beginnings in the family garage. Since 1993, all garage door systems have been required to have a crucial safety system known as the photo-eye sensor. 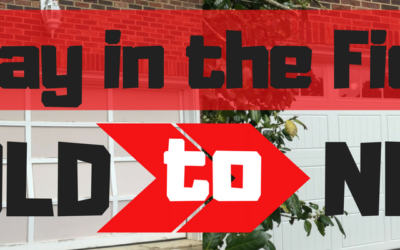 The photo-eye, however, is also one of the most common causes of garage door problems! Knowing how this safety sensor works can enable home or business owners to fix some problems with their garage door, without even needing to contact an expert. 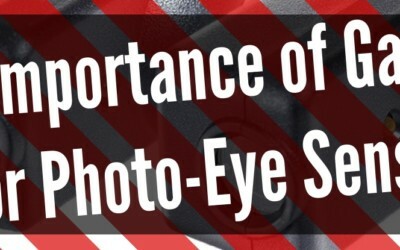 So if you want to know more about the sophisticated safety of the photo-eye, read on! Charlotte is officially experiencing the Winter cold, with temperatures below freezing most mornings and a serious windchill, but Winter is only beginning! Everyone knows how important it is to take care of your home in the cold, but knowing what that looks like can be more difficult. 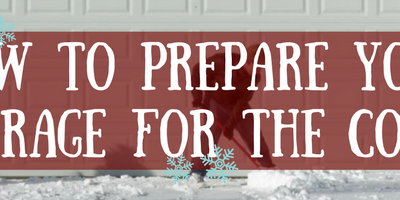 Luckily, we happen to be experts in everything garage-door-related, and can offer some advice about preparing your garage for the Winter temperatures. Proper preventative measures can keep your home nice and toasty all season long, and save you some serious cash. Read more to find out how! 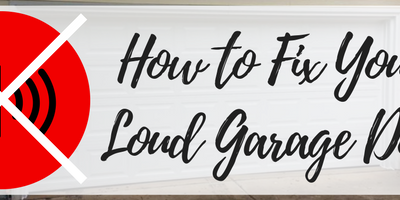 Is your garage door obnoxiously loud? 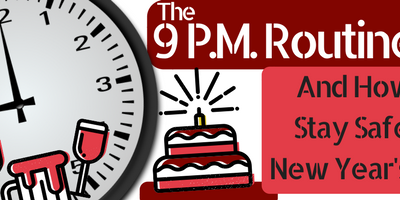 Does your family wake you up when they come in late at night, or leave early in the morning? Do you worry about disturbing your neighbors with the horrible grating noise? Well you’re in luck, because these problems are fixable! 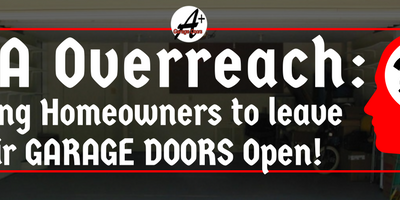 Garage doors and garage door openers, like most machines, are always going to make a little bit of noise just because of the mechanical stresses of their operation. Most of this noise, however, can be reduced via proper care and a few easy upgrades. If you’ve been living with a monster of a door for years, you’d be amazed at how quiet things can really be.